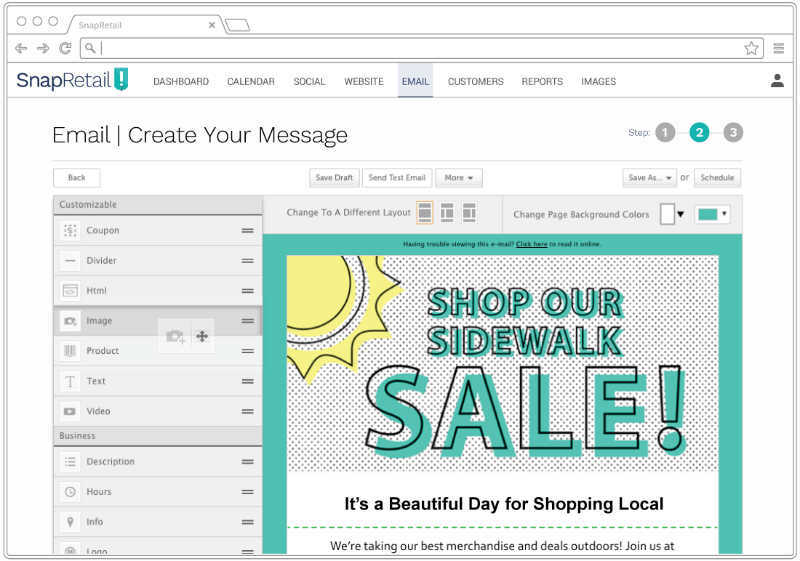 Email marketing with SnapRetail combines ready-to-send messaging, professionally designed templates, scannable coupons, personalization and automation into emails that get attention – and get opened. 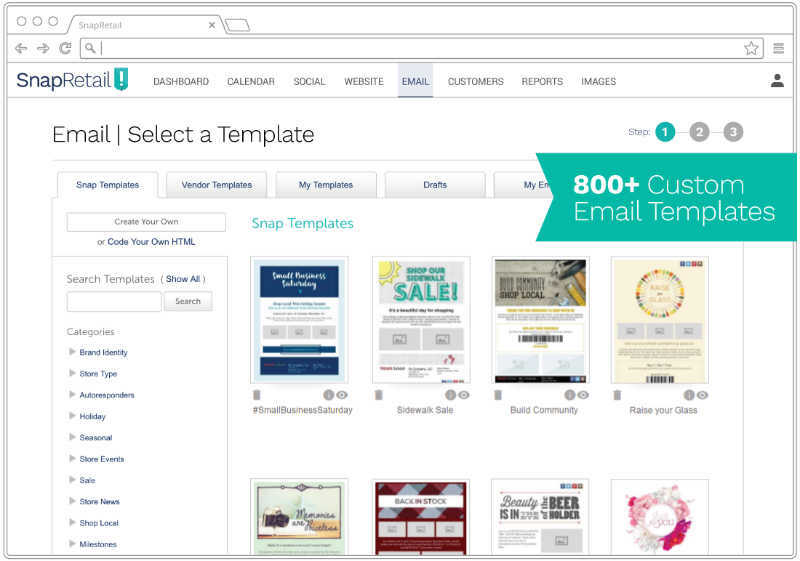 800+ ready-to-send small business email templates to save you time. Easily edit any email with our click-and-drag editor. Save time by sending automated birthday and welcome emails. Send targeted emails by segmenting your customer lists however you like. Creating the perfect template takes time. That’s why we give you a library filled with ready-to-customize templates with copy and graphics already created for you. We have over 800+ ready-to-customize email templates that save you time and remove the guesswork about what to say. 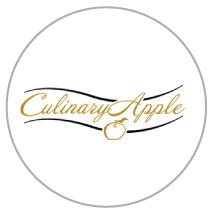 Keep your audience engaged with newsletters, seasonal promotions, sale announcements, and more! SnapRetail makes it quick and easy to tailor any of our templates to your small business’s style and message. Spend your time with customers, not making emails. Our editor lets you add, edit, or delete copy and images, move content around, and perfect your layout with a click. There is a widget for that! Insert a coupon, sell through email, showcase a video and more! Our personalization and automation features take the guesswork out of sending timely emails and make it easy for you to connect with customers on a personal level. 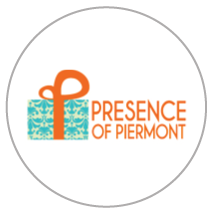 Welcome new customers to your list with a promotion or surprise them with a coupon on their birthday. Personalized emails deliver 6x higher transaction rates. 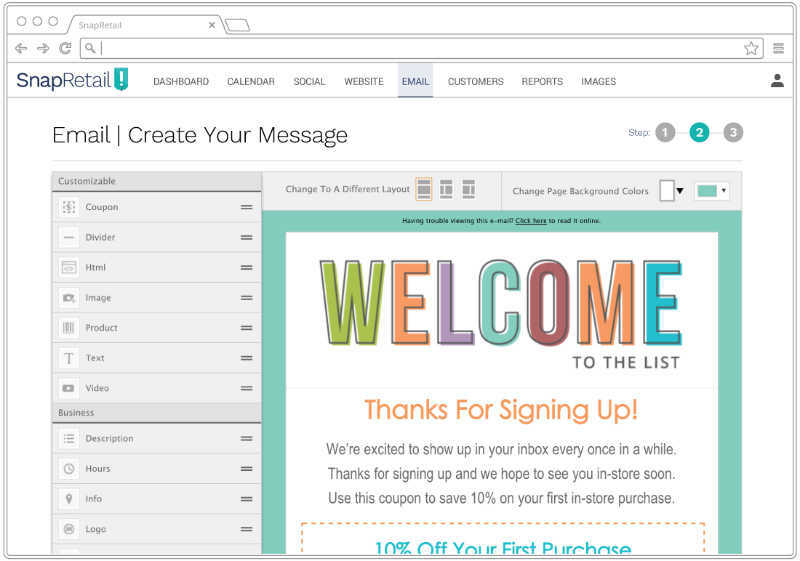 We make it easy to personalize your subject line or email copy. Targeted emails are one of the most effective and low-cost marketing strategies to turn subscribers into active customers. 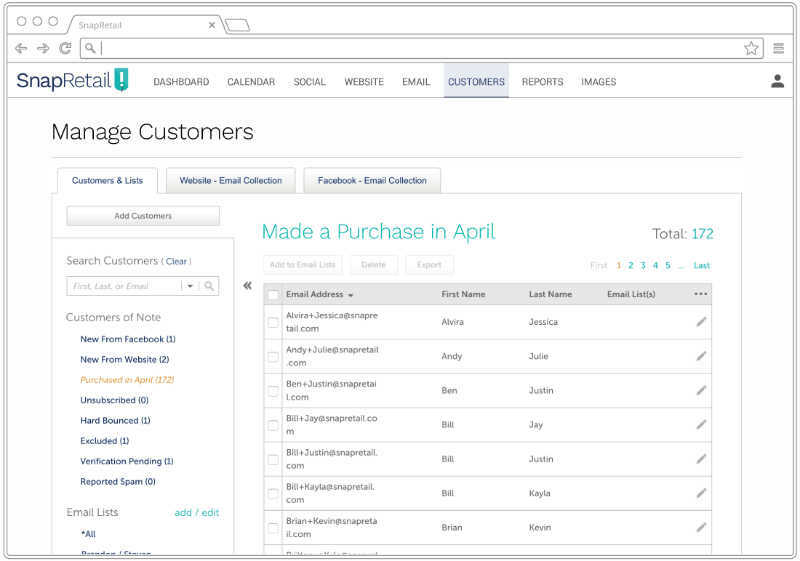 Create an unlimited amount of email lists and segment your customers by behavior, location and more. Selling online through Shopify? We automatically sync filters created in Shopify to your SnapRetail account. Continue to drive customer engagement by purchase history and more. Customers come in every day and tell me they love getting my emails. It definitely pays for itself. The e-mail templates are professional looking and the design is flexible so I can make our message look like our brand.